In the consumer world, people have come to expect every experience to be fast and frictionless. These expectations are becoming increasingly evident in the healthcare industry, too – not only among patients but also among providers – and they’ll only continue to rise in importance. The organizations that can get ahead of these demands for efficiency and seamlessness are the ones that will gain an edge. When it comes to reducing friction for the patient and improving efficiency for the provider, one of the top areas that organizations today are focused on is the online appointment scheduling process. Providence St. Joseph Health, for instance, has rolled out an online booking platform that goes above and beyond simply booking appointments. This transactional engine is being used largely within Providence St. Joseph Health’s Express Care service, which is designed for low acuity, episodic types of services that can be delivered through retail clinics, virtual or at-home visits. Many of the organization’s primary care physicians (PCPs) have also started scheduling through the platform, and Vaezy expects they should have almost 100 percent of PCPs on it by the end of year. In addition to streamlining the online booking process, providers are also finding ways to simplify processes around more traditional call-ins for appointment booking. In some cases, such as with a major health system in Illinois, this starts with how the access center is structured. The Director of Patient Access for one of this system’s hospitals shared how the organization’s scheduling department of 11 full-time employees was historically organized by specialty. “We had CT, MRI and interventional radiology specialists accepting relevant calls in one pod, and a separate group of employees accepting calls for all other services in another pod,” the director said. “We did that for about 2 years and found that the high-tech specialists were spending much more time idle, while the other side was inundated, and consequently, getting higher abandon rates. Since the restructuring, the hospital has seen significant efficiency improvements – the facility now experiences an abandon rate of just four percent from the initial call. For just about any clinical or administrative process in healthcare, having orchestration mechanisms in place is a must to create a smooth and efficient experience for everyone involved. 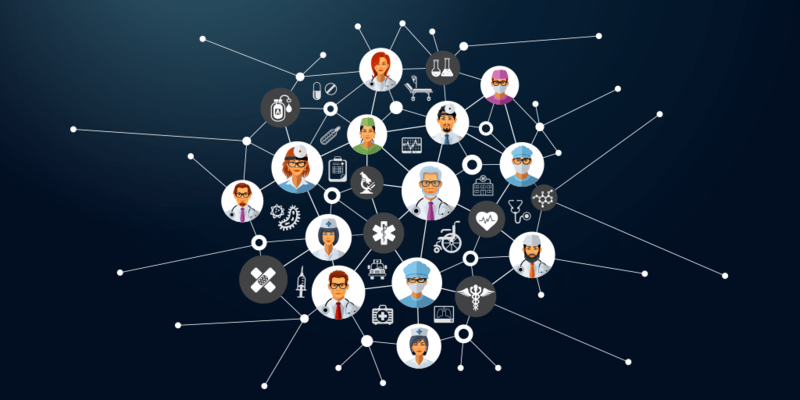 “For one, it can connect the patient and provider experience through the EHR, so that the patient information captured during their visit can be used to manage their care. “Orchestration can also be applied to provider staffing, where a unified provider pool that can be flexibly deployed maximizes the utilization of that providers’ time across care modalities. Meeting the demands of today’s patients goes well beyond clinical outcomes. More and more, it requires providers to innovate and create experiences that are completely seamless – emulating the everyday experiences consumers have. It’s also important to remember that the consumerization of healthcare doesn’t just serve patients – it also has the potential to add major efficiency improvements to the provider experience as well.